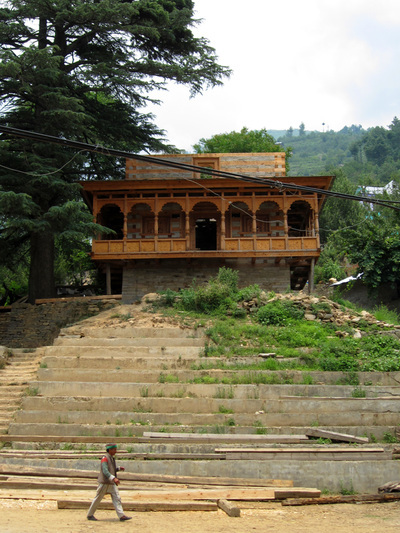 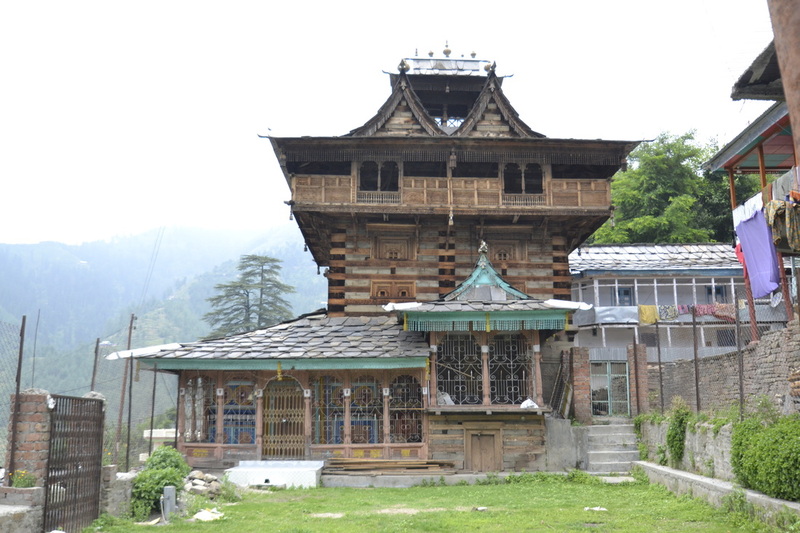 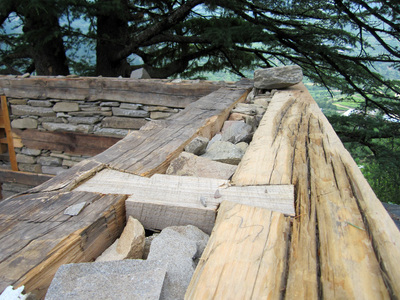 The new temple under construction sits on a stepped base on a hill and faces a beautiful deodar tree. 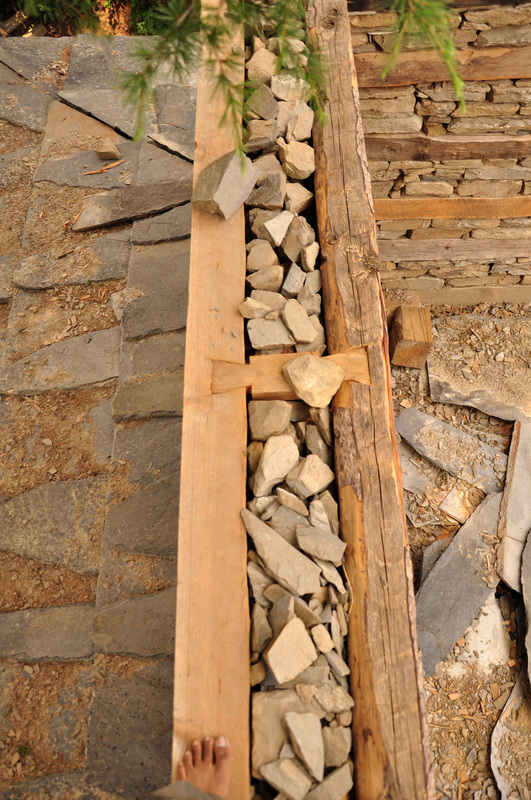 It is a treasure house for seeing, hearing and understanding ancient building practices especially with most welcoming crew at work on the temple site. 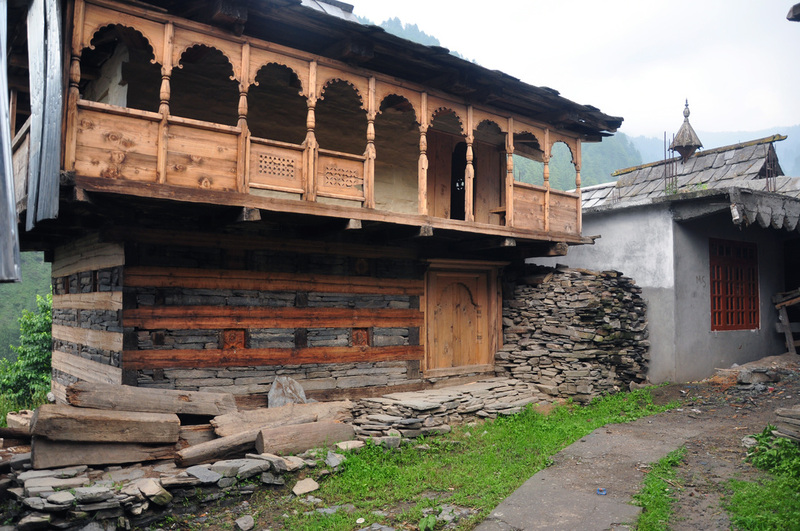 The road climbs up from Rohru on shoulders of mountains and through Deodar trees to what appears – on a rainy and cloudy day – as a place that time has forgotten. 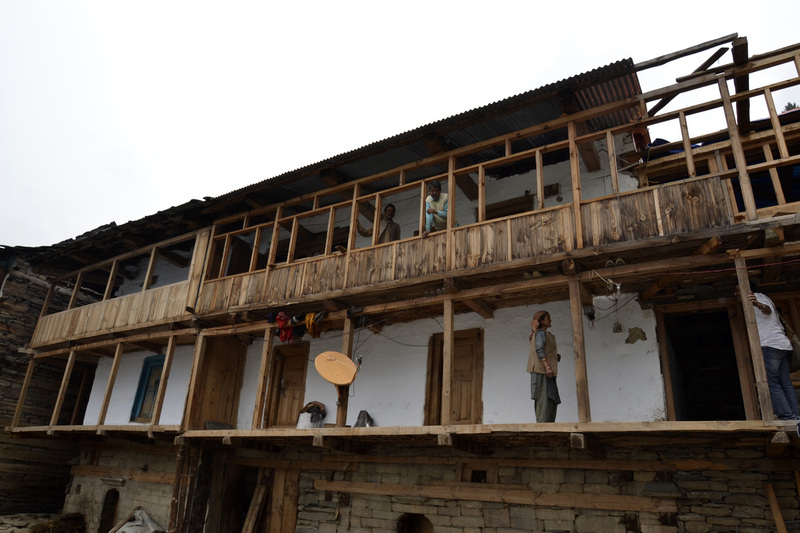 The village of Gavas seems to appear out of nowhere with what must have been a vibrant and living community. 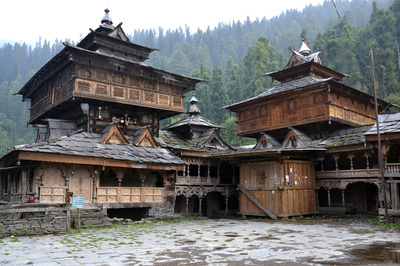 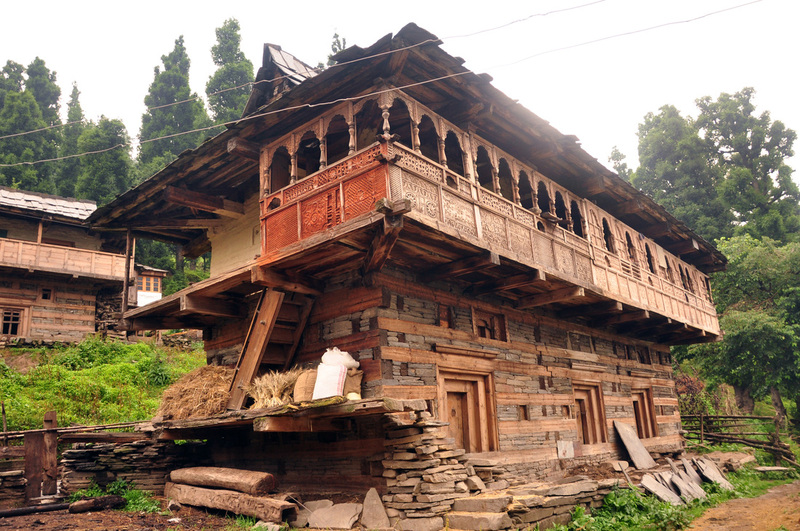 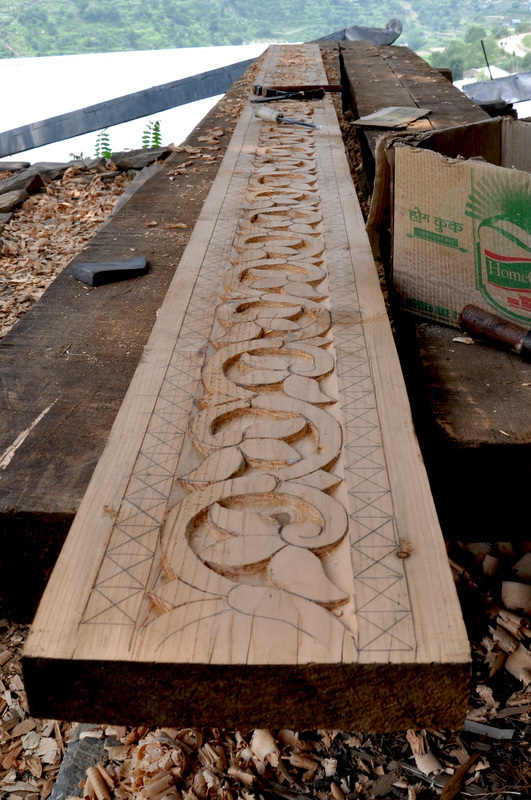 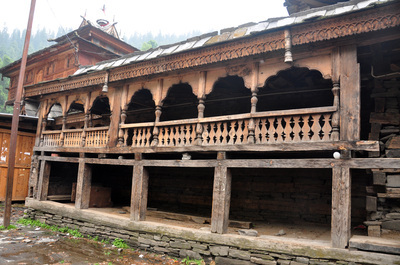 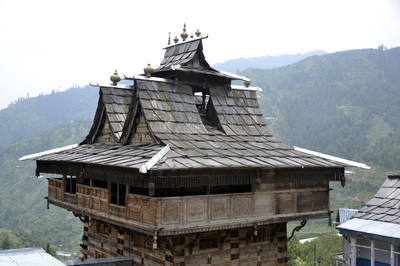 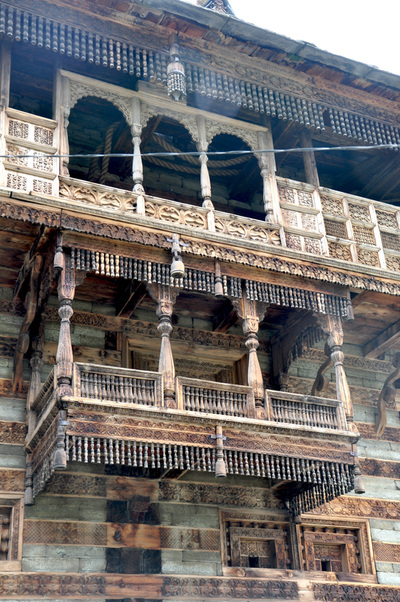 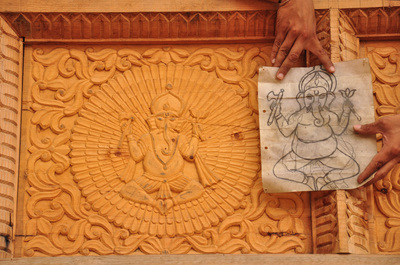 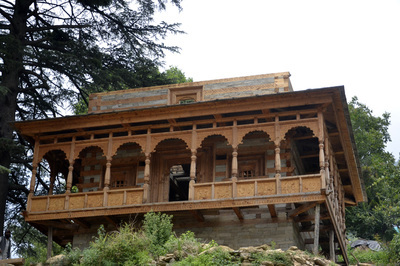 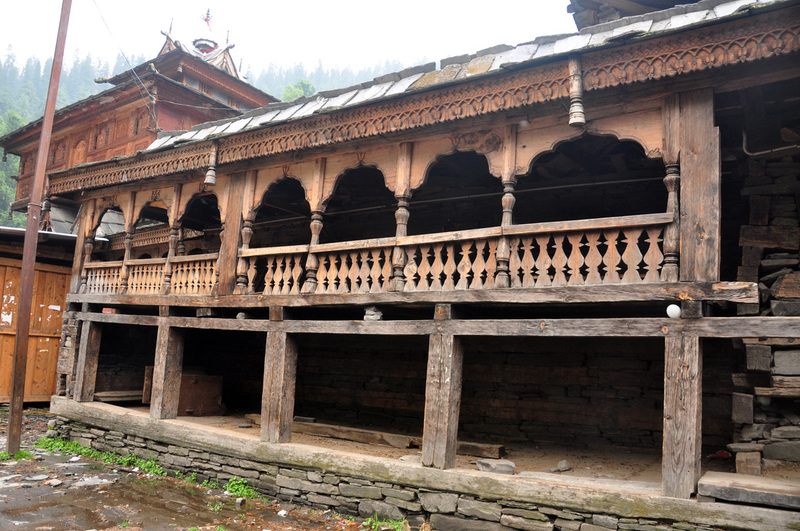 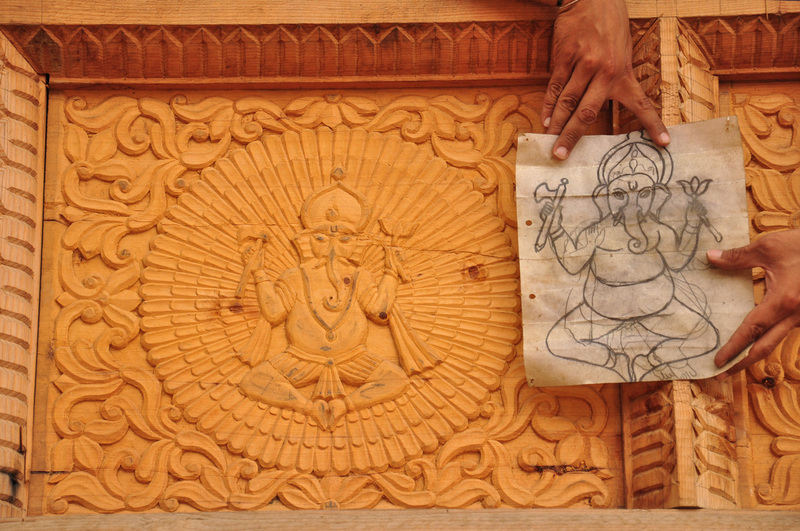 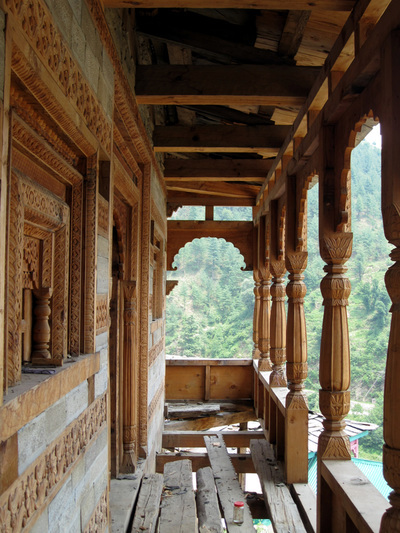 It has spacious wooden houses with beautiful carvings visible even now. At the end of a winding street is a doorway that leads into a majestic complex of temples and supporting structures. 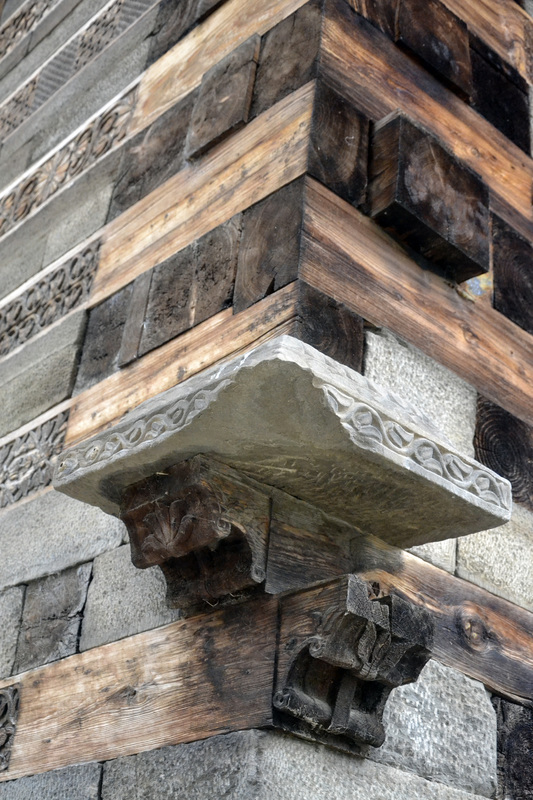 Parts of this complex are intact, others appear quite worn out adding to mysterious sense that envelopes the place.